On the one hand online advertising is growing, and on the other hand stats show they are not effective. Can someone explain? For a couple of years I have been blogging to help others. Now has the moment come where I need your help! Why do marketers keep advertising online, while clearly it doesn’t seem to be working? And before your click away, no, this is not yet another blog post “yelling” to stop advertising, and to start doing content marketing. This is something else, and I am merely trying to get my head around something. Average banner click-through rates are below 0,2% on average in Europe. Only about 12 percent of consumers trust search engine ads (PDF). 77 percent of Web display ads are never seen. The internet, with its $36.6 billion in advertising revenues in 2012, now only trails broadcast TV by $3 billion, and has moved squarely ahead of cable TV ($32.5 billion) among advertising media. Online display (!) 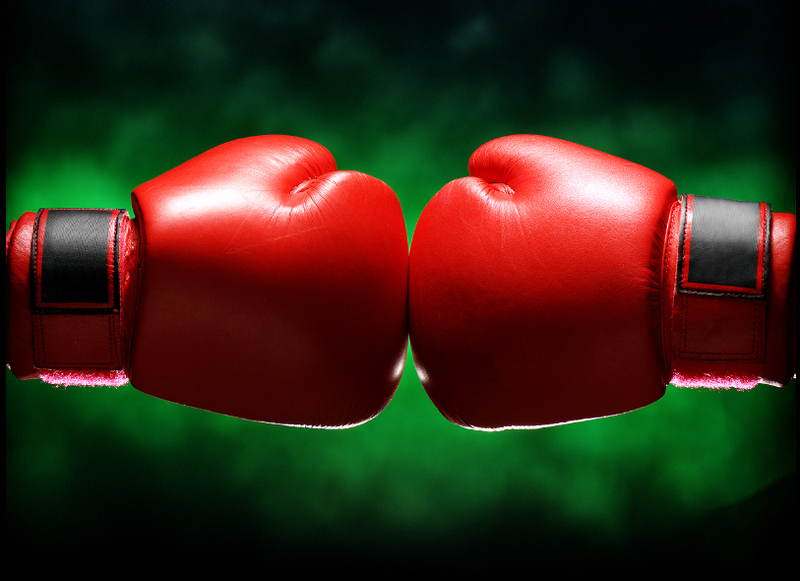 Ad spending Up 32 percent in 2013 according to a recent report from Nielsen. IAB reports that Internet Ad Revenues at $20 Billion hit a historic high. 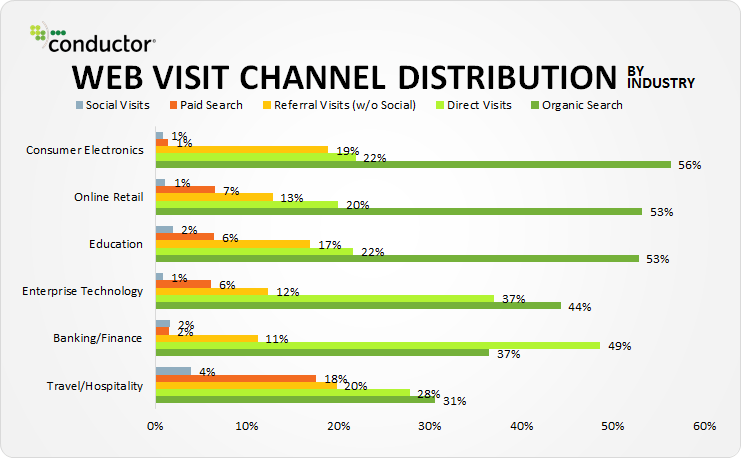 Furthermore, the majority of traffic to most sites are not from paid search or banners. 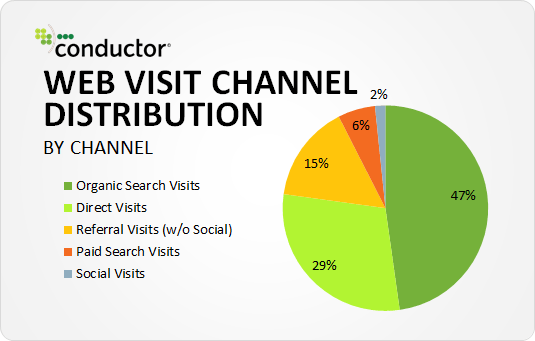 According to Conductor , the majority of traffic comes from natural search and referral traffic. Depending on the industry you are in, average websites are pulling in 6% traffic using paid search. All of this traffic has to somehow result in a little bit of business, right? Let’s get back to the initial question: why do marketers keep investing in online advertising, and even increasing their investments? Maybe marketers are investing in online paid media because the conversion rates are higher? That might make sense. But it doesn’t. 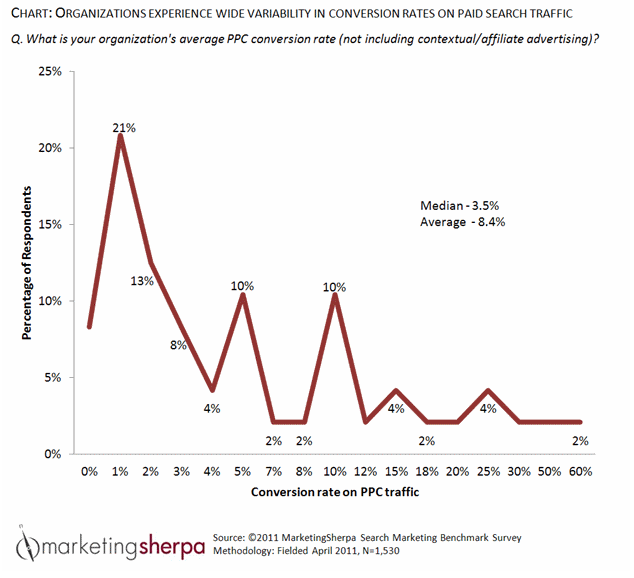 According to MarketingSherpa’s 2012 Search Marketing Benchmark Report – PPC Edition, the conversion rate for PPC search ads seems slightly lower than organic search traffic, with a median of 3.5%, and a few more very high performers skewing the average up a little. 200kEUR to spend, what is the best tactic? If you have 200KEUR to spend on B2B advertising, and the majority of traffic comes through organic or direct visits, why are marketers not trying to improve the channels that seem to be attracting the most traffic? Why don’t they balance some of that money towards improving the direct and organic channels? 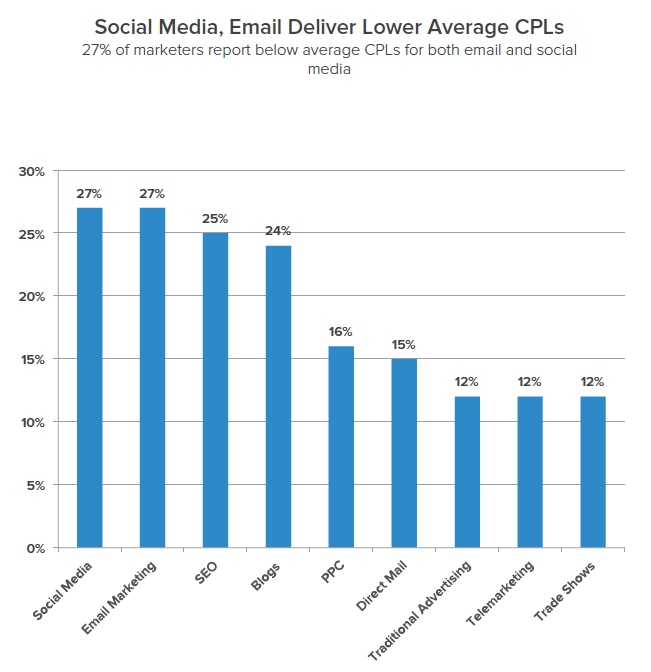 And the 2013 State of Inbound Marketing from Hubspot seems to be confirming this thought: across all industries, PPC as a marketing tactic ends-up somewhere in the middle when it comes efficiency as a marketing tactic (CPL = cost per lead). Cutting out entirely on advertising is not something I am trying to advocate. I know you need a good mix of paid, owned and earned media around your brand. And sometimes a tactic is used for other reasons than lead generation. It can be about brand awareness, though leadership, or even pure customer service. And I know you sometimes need a good media push to get the word out, certainly when it comes to new product launches or events. As in “I don’t care, we just need to get the word out”. I even feel stupid for not understanding this. Fellow marketers tell me it’s because a lot of marketers keep doing what they always have been doing. Is it because the sheer volume of online consumption is increasing, away from offline? I don’t know. 2. Short terms results vs long term vision: you know more than me that content is based on long term commitment of businesses managers. But… what they ask to their people is short term results. With paid advertising they get that, a good reason to keep on investing. 3. Paid opportunities: As marketer, you find more and more opportunities where you limit your investment risk by paying on CPA basis (ex: affiliates, CPA emails,..) When you know your average client value, it’s easier to invest in this direction. However, I’m convinced that Content marketing has it’s place in the mix. So many good reasons :-) Happy to discuss more about this if you want to. As you have, I also have been marketing director, but always in B2B. Shortage of budgets never have been able to create the media pressure needed to have an effect. Whenever I speak before a large audience, usually of marketers, I always ask them the question if they have ever clicked an online ad. Hardly ever I get people to respond positively. Something I have given a lot of though is that advertising in B2B is probably also related to what kind of product you sell, and what value it has. The higher the value, the longer the buying cycle, the less effective advertising becomes. maybe not the best comparison and provocative: it’s like doping, when somebody use it everybody use it. But the most innovating online strategy including online advertising will remain successful. 10% of online or offline advertising (just a guess) is really interessant and eye catching. Thanks Philippe. If you look at the overall advertising spending, online still represents a small factor. That obviously includes consumer advertising where TV and outdoor represent the majority. In B2B these ad channels are hardly used. Media pressure does work in some instances, but my experience is that it is to be combined with relevancy for the buyer. In a lot of cases the majority of companies do not have the budget to reach the level of advertising that creates media pressure. Instead they advertising ‘small’, and the effect is hardly there, as I wrote in my blog post. Hey Tom. Ik leg je dat met plezier eens uit. Next to Alex’ very valid comments, there are quite a few underlying reasons why. e.g. 1. Most Marketeers hate statistics and figures. Your comment makes me think. Would it be that many marketers are too lazy to make the change, and go the easy route?